If you love your tween singers, then I’m pretty sure you know who Austin Mahone is. The 17-year-old originally from Texas generated millions of hits on YouTube beginning in 2010, eventually signing with Chase/Universal Republic. Though his first two radio singles generated little buzz on the charts, the third time appears to be the charm for him as “What About Love?” is quickly moving up the pop airplay chart. Now, this isn’t the first time this exact title has become a hit. In fact, it made me start to wonder about other similar questions from the chart confusion department. What about them? What about their multiple uses? So, after decoding and digging through the Top 100 Trivia files, here’s a little bit of hit history about those “what about” songs and which ones rank the highest in leaving our pop star protestors unanswered. 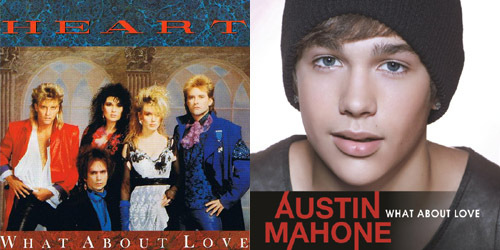 Besides the new single by Mahone, which has thus far peaked at #73 after five weeks, two other songs that get to the heart of this question made the top 40 in the 1980’s. One, in fact, was by the Seattle-based band Heart. Their “What About Love?” rose to #10 in 1985, which became their first top ten single in nearly five years and reignited their more pop-oriented sound and success for the rest of the decade. 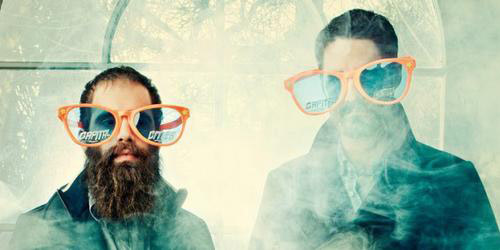 Just a year later, Boston band ‘Til Tuesday released their single of the same title, peaking at #26 on the Hot 100. It was their final of two top 40 hits, but they charted on the Hot 100 through 1988. Is it a self-interested thought? Maybe, but we do have to care for ourselves. Perhaps that’s why this comes in at the top spot on the list. The five songs to make Billboard’s big chart include entries by country singer Don Gibson (#100 in 1961), psychedelic rockers Quicksilver Messenger Service (#100 in 1971), Canada’s “Snowbird” Anne Murray (#64 in 1973), Australia’s pop-rockers Moving Pictures (#29 in 1983) and the ménage à trois that was Kenny Rogers, Kim Carnes and James Ingram (#15 in 1984). As you can probably note, none of the five were really significant singles on the Hot 100, with Moving Pictures probably being the most memorable one as it had a long and slow first run and a re-release that just missed the top 40 in 1989. Still, as far as this list is concerned, it’s all about me, me, me. For the latest in pop music that pops the questions and all the trivia and flashbacks in-between, don’t forget to follow the blog below and find me on Twitter: @AdamFSoybel.